Come take a look at the peaceful surroundings within walking distance of beautiful Lake Springfield, Marine Point and Island Bay Yacht Club. Drive five minutes or less to Cotton Hill Park, Center Park, Henson Robinson Zoo, Doctors Hospital or Lincoln Greens Golf Course. A unique location that finds the University of Illinois at Springfield and Lincoln Land Community College only one-half mile away, yet only five miles to the Capitol Buliding in downtown Springfield. The rolling lots are above average in size, some for walk-out basements, and some have mature trees and lake views. 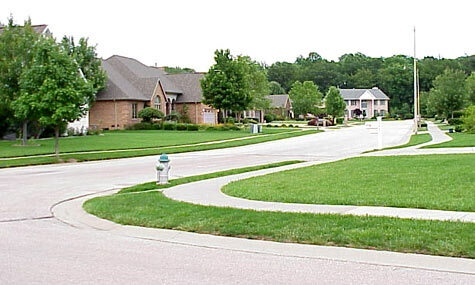 With economical City of Springfield utilities, and located within the excellent Chatham School district, North Lake Shore Subdivision is "the place to build or buy for your future."